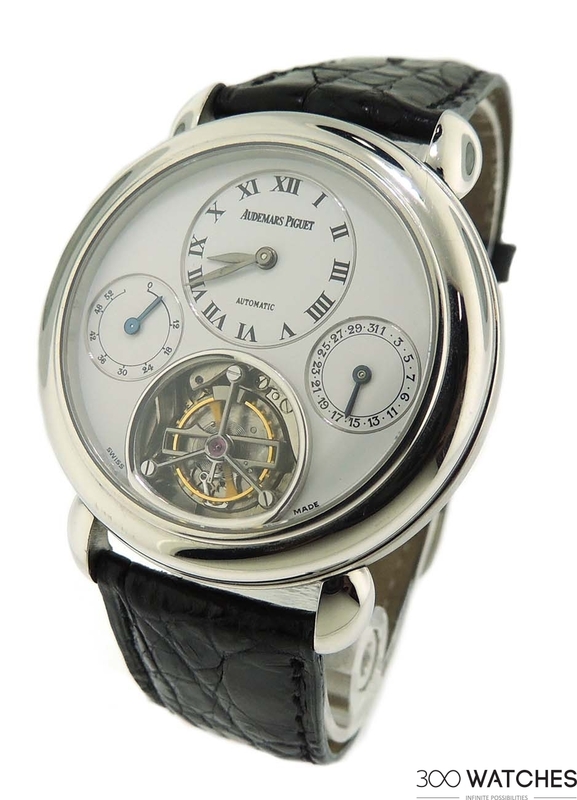 For many collectors of luxury watches, there is no greater “grail watch” than a tourbillon. Buyers seeking tourbillon watches for sale know that manufactures such as Patek Philippe, Vacheron & Constantin, and vaunted independent Greubel Forsey offer industry-leading machines with market-leading collector value. However, the best values in tourbillon watches for sale – new or pre-owned – hail from the Le Brassus workshops of Audemars Piguet. Today, tourbillon watches are revered but ubiquitous. As impressive as a self-propelled escapement carriage appears, the fact is that almost any major watch retailer in any major city is likely to have several inventoried tourbillon watches for sale on a walk-in basis. It wasn’t always this way. During the 1980s, Audemars Piguet, which built its name as a master of complications in the late nineteenth century, decided to return to its roots. 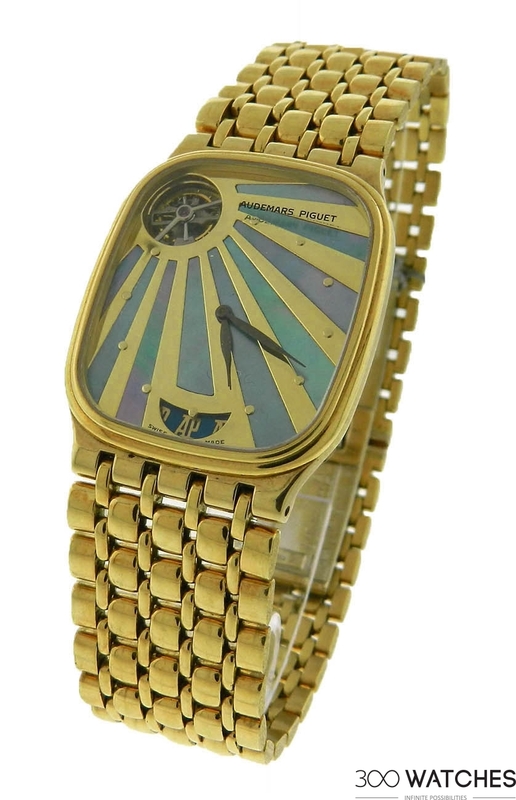 With the help of an ex-Omega master watchmaker, AP launched a Manhattan Project-style crash program to create the world’s first serially produced tourbillon watch. Prior to the 1980’s, worldwide tourbillon production amounted to less than 800 units since AP’s 1875 founding! Even this figure understates the rarity of tourbillon wristwatches, because many of the timepieces built during this period were clocks, pocket watches, and uncased prototypes built for chronometry competitions. In 1986, the company’s opus, the automatic caliber 2870, was ready for market, and over 320 of these miniaturized self-winding tourbillons trickled out of the Vallée de Joux by the time production ended in 1991. Truth be told, this model suffered some of the teething woes of any pioneering technology. The watches were delicate, and the entire escapement assembly was unprotected from shock. While many enthusiasts accepted the handling limitations of the fragile movement, the watch’s tiny 28mm case proved a deterrent to even average-sized male wrists. 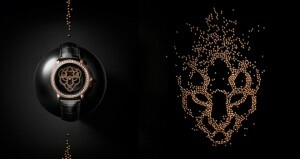 However, Audemars Piguet hit all of the right notes with its second act: the caliber 2875 of 1991. Whereas the original Cal. 2870’s case had been too small and too rectangular for contemporary tastes, the new tourbillon’s 40mm round case was very much in tune with its times. 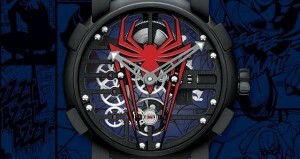 Moreover, AP’s “tourbillon 2.0” represented a mechanical quantum leap over its predecessor. The old watch had no power reserve indicator – a critical oversight in a watch that could only be wound via its internal bumper winder. Not only did the 2875 feature a power reserve indicator, AP further elaborated the complication by adding a date sub dial to improve the practicality of the watch. Externally, the improvement in dial symmetry compared to the 2870 was pronounced. The old watch’s strange offset tourbillon created something of a unbalanced look that polarized collectors, so the 2875 featured its tourbillon centered at six o’clock and flanked by sub-dials at three and nine. 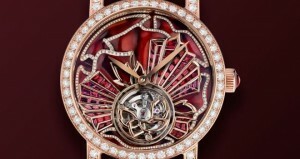 The tourbillon escapement itself was upgraded to a 21,600bph rate that enhanced accuracy relative to its predecessor. As a member of the “holy trinity,” Audemars Piguet is a name that commands respect among the cognoscenti. Production of the Cal. 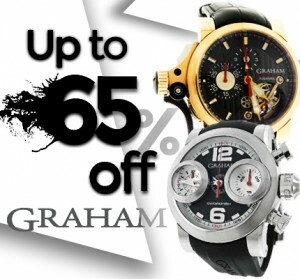 2875 watches amounted to several hundred over approximately a decade. Today, one can find these collectable tourbillon watches for sale at far, far less than the six-figure price tags normally associated with modern tourbillons. The 2875 was produced from 1991 until the early 2000s. It was available in several case materials, the most attractive of which were the platinum and rose gold variants. Several dial variations were offered; the principal difference concerned the presence of Arabic or Roman numeral hour indexes. Among tourbillon watches for sale, there is no better collector value in the new or pre-owned market. Devotees of the most recent Audemars Piguet references know that the company’s twin pillars remain the Royal Oak and Royal Oak Offshore lines. While AP revels in the success of these evergreen sports watches, the company remains true to its origins as a master of high complications. Today, the tourbillon remains a flagship product within AP’s haute horlogerie lineup. The Jules Audemars Tourbillon embodies the Le Brassus manufacture’s latest refinements and technology. In contrast to the earlier tourbillons, the contemporary Jules Audemars makes no compromises with respect to user ease. While the calibers 2870 and 2875 could only be wound via kinetic energy (wrist movement), the caliber 2906 in AP’s latest can be wound by means of a conventional winding crown at three o’clock. The watch features a substantial three-day power reserve that ensures winding remains an occasional joy and not a constant chore. The free-sprung balance with Breguet hairspring and variable-inertia balance blocks provides exceptional resistance to shock, temperature, and magnet-induced timing errors. A 21,600bph escapement maintains the traditional lazy “heartbeat” that collectors of traditionally styled wristwatches prefer. A titanium tourbillon cage weighing less than one-half of a gram encloses the escapement, which completes a single rotation every 60 seconds. Consistent with its status as a range-topping showpiece, the Jules Audemars Tourbillon features the highest standard of hand-wrought finishing. Each bridge features Côtes de Genève with delicate snailing between the crests of the waves. All screw slots are chamfered and screw heads are polished; each bridge, lever, and plate features extensive hand-laid anglage; the jewel sinks are polished to a shine, and perlage of varying diameters adorns the plates. The wheels are decorated with straight and radial graining patterns. Because the hand-wound movement eliminates the need for an automatic winding rotor, the entire reverse side of the movement is visible through the sapphire case back. The Jules Audemars Tourbillon in 18-karat white gold features a silvered dial with matching white gold hands and Roman numeral hour indexes. A robust circular case with a substantial bezel and 41mm diameter ensures that while traditional, this tourbillon watch never appears undersized or excessively delicate on the wrist. Among tourbillon watches for sale on the collector’s market, the Jules Audemars offers tremendous value. As a recent model, parts and service know-how are abundant, and long lasting synthetic lubricants will have been applied from the time the watch left the factory. When purchased as a pre-owned model, the Jules Audemars Tourbillon has it all; high style, the luster of the AP name, and the value of avoiding MSRP sticker shock. This watch represents the culmination of three-decades of Audemars Piguet tourbillon innovation. All Audemars Piguet tourbillon watches embody pioneering technology in the prestige horology sector, are historic references in the Audemars Piguet catalog, and should be considered future classics with serious appreciation potential. Among tourbillon watches for sale on the collector’s market, the timepieces of Le Brassus are standouts.